Continuing our appreciation and admiration for aspiring and signed talent,has lead us to this post on an artist by the name of King Kun. He hit us up with links and music, we checked it out, and we are definitely feeling this cats music. In this weeks artist spotlight you will find out just who King Kun is, and as with all of our Artist Spotlight blogs, we have provided all of his contact info so you can see for youselves 1st hand about King Kun and his From The Ground Up Movement !!! King Kun, born Dejuan Davis to a single mother "Laverne Davis," grew up in 1 of Atlanta's most notorious neighborhoods called "The Bluff" located in Vine City on Atlanta's westside. This neighborhood is known for it's drugs, prostitution, and crime. Growing up in that enviroment, you would either end up dead, or in prison. KING decided to follow his passion. Being born into a musical family, naturally gave him his love for music, which he calls" his love affair." Ever since he was 12 years old, he followed the footsteps of his musical uncle (aspiring pianist), another who plays the guitar, and a close family friend who plays the saxophone. When Kun bought his first drum machine, he began producing music for a group he formed called "THE HAVEKNOTZ". Kun and the HaveKnotz performed in MC battles and Showcases all around Atlanta. Known as a triple threat in the industry as a Producer, Songwriter, and Artist. Kun often compares himself to being a classical composer of Hip Hop Music. A unique person that makes unique music. 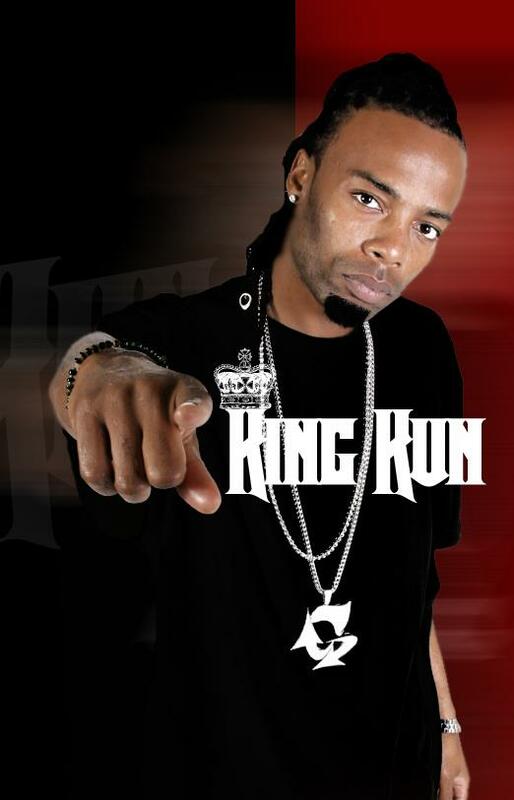 Today King Kun is recognized as one of Atlanta's hottest Artist and Super Producers, most important a True Lyricist. King Kun is going to be the name of the nation sooner than you think. Kun uses a famous quote by "James Dean" which inspires him every day. "Dream as if you'll live forever, Live as if you'll die today." He lives by that quote to keep accomplishing his Dreams. Everything Kun has been through; he's kept fighting no matter what. King Kun is who he is today, because of his strong belief in GOD, and the passion for his love, which is music. The only thing Kun has to say is "Watch me keep climbing, and I'll see you at the top..... Or From It!!!" The Vid to King Kun's single "Made Up My Mind"